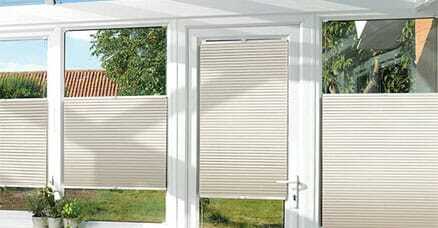 Door Blinds | A Perfect Fit for your BiFolds & Patio Doors! 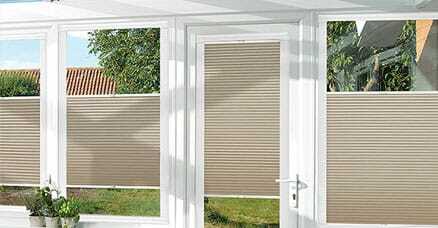 Enjoy a seamless transition between blind and door with our PerfectFIT venetian blinds. The stylish frame clips into your window with no drills, no screws and no fuss. It looks like it belongs there! Plus, tilt the slats to control the light how your want. Big ol' glass is great for seeing but not so much for draughts. 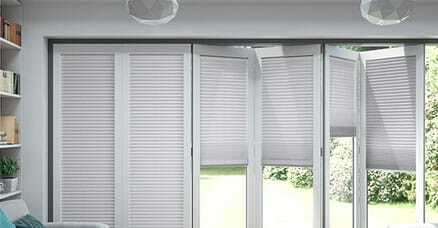 Our PerfectFIT thermal blinds provide a solution. The integral frame coupled with honeycomb pockets help trap the air for year round comfortable temperatures. Designed especially for BiFold doors but perfect for any uPVC window, our ClickFIT blinds clip into your window, no drills necessary. There are no protruding parts so your doors fold flat and they look stunning too! 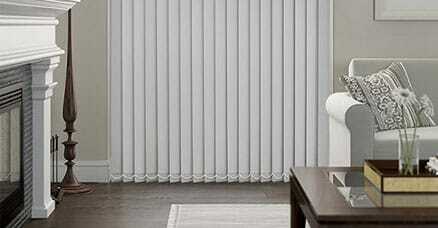 Vertical blinds are a classic choice for large windows and doors. They fit to the recess or wall, so no drilling into your PVC. You can control the light with one easy cord and even replace the louvres if you ever get bored. You've paid all that money for lots of glass, so make the most of it with our EasiFIT blinds. Clipping into place, there's no frame so, when open, you can enjoy more of the view and, with top down bottom up operation, configure them the way you want. Used many times, reliable, good value and fitting is easy. Great customer service, communication and quick delivery.